The Shiwan Kiln, located in Foshan of South China's Guangdong Province, began its porcelain business in the Song Dynasty (960-1279), though some argue that it began in the Tang Dynasty (618-907). In any event, the kiln reached its prime during the Ming and Qing dynasties (1368-1911). The kiln has experienced further substantial developments since the founding of the People's Republic of China in 1949. 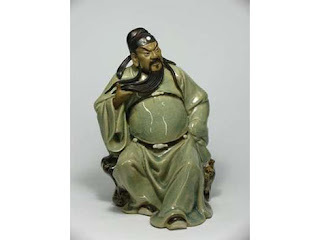 Although the kiln is famous for its reproduction of the Jun Kiln wares, such products are not only duplicates, but also have some creative alterations. 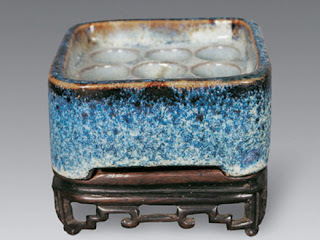 For instance, the Jun wares usually have one layer of glaze, while Shiwan reproductive works usually have two. Besides the Jun Kiln wares, the Shiwan Kiln is also good at reproducing wares of the other famous kilns in the Song Dynasty like the Guan, Ge, and Ru kilns. In the terms of the raw material, processing technologies, and artistic modeling used, since the Shiwan Kiln's inception, its wares have been very successful in reviving famous ancient porcelain works, while at the same time always having their own creative features. During this ever-ongoing process, the Shiwan Kiln has gradually formed its own artistic style, along with its fair share of famous ceramic masters. 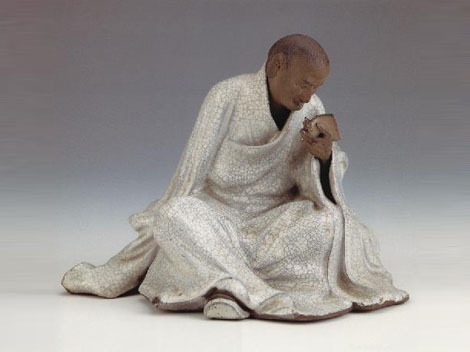 Shiwan ceramic figurines, mainly featuring traditional Chinese themes, are a representative kind of the kiln's work. The artistic characteristics of thick glaze, vivid molding, and a multiple use of different skills and technologies have made the art form very popular both in China and abroad.